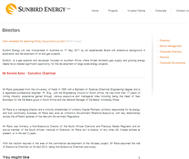 Sunbird Energy Ltd is an ASX-listed (ASX:SNY) gas explorer and developer focused on southern Africa where limited domestic gas supply and growing energy needs have created significant opportunity for the development of large scale energy projects. 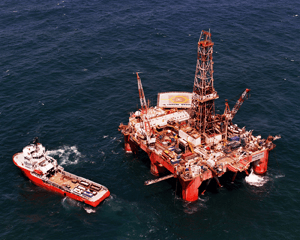 Between 2001 and 2004 eight wells were drilled and tested, together with the acquisition of 1,770 km2 of 3D seismic. 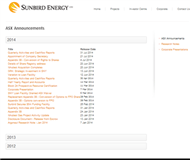 As annoucned by Sunbird on 4 June 2013, in April 2013 Sunbird engaged MHA Petroleum Consultants LLC (MHA), based in Denver, Colorado, to complete an Independent Reserves Assessment for the Ibhubesi Gas Project. This study determined a 2P estimate of 540 Bcf, representing the most likely (P50) recoverable volume for the project, indicating significant potential for project viability beyond the Phase 1 Development. 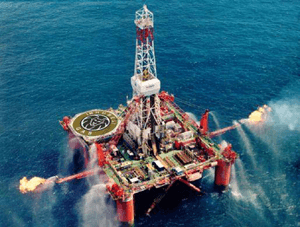 In conducting its assessment, MHA reviewed all available technical and commercial data for the field including interpretation of the large seismic database, discovery well logs and analysis, production tests, the field development plan and integrated project costs. The reserves assessment confirms the proven 1P reserves of 210 Bcf, which is consistent with the previous estimates undertaken by Degolyer & MacNaughton in 2009 (190 Bcf). This volume of discovered gas is considered to be of high certainty of recovery (P90) and underpins Phase 1 of the Ibhubesi Gas Project development plan. 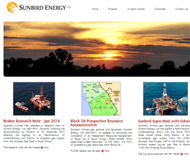 As annoucned by Sunbird on 11 March 2014, in October 2013 Sunbird commissioned MHA Petroleum Consultants, Denver (MHA), to complete an independent assessment of the prospectivity of the 5000km2 Block 2A in which the Ibhubesi Gas Project (IGP) is located. The objective of the independent evaluation was to identify the exploration potential of the block and thereby assess the volume of gas that could potentially deliver future incremental gas to the IGP project. The MHA study determined a Best Estimate 7.8 TCF (SNY: 5.9 TCF) of prospective gas resources within Block 2A. The reserves and resource estimates were compiled by Tim Hower (Registered Professional Engineer (Colorado #9597), and member of the Society of Petroleum Engineers) of MHA Petroleum Consultants LLC and are consistent with the definitions of proved, probable, and possible hydrocarbon reserves and resources that appear in the ASX Listing Rules with effect from 1 December 2013. Mr Hower is qualified in accordance with the requirements of ASX listing rule 5.42 and has consented to the use of the reserves and resource figures in the form and context in which they appear in this announcement. Independent Reserves Report dated 11 June 2013, Prospective Resource Report dated 28 March 2013. The estimated Prospective Resource quantities of petroleum that may potentially be recovered by the application of a future development project(s) relate to undiscovered accumulations. These estimates have both an associated risk of discovery and a risk of development. 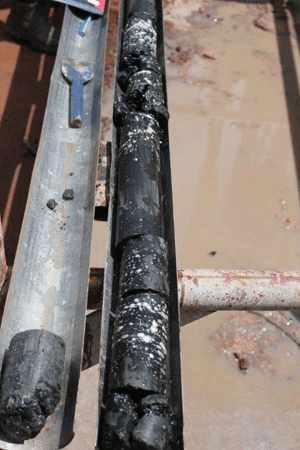 Further exploration appraisal and evaluation is required to determine the existence of a significant quantity of potentially moveable hydrocarbons. The prospectivity of the Mopane Project has been enhanced with the intersection of a thicker than expected coal packages and high gas measurements from the drilling of two core holes (MOP001A and MOP002A). MOP001A was drilled to a total depth of 569 metres(m), and intersected 129m of the Ecca Coal package between a depth of 422m and 552m. This package contained a net coal thickness of 38.16m and resulted in 22 coal samples being taken for gas desorption analysis. Field observations and gas recordings indicate the coals are charged, providing significant encouragement taht the Mopane area is highly prospective for Coal Bed Methane (CBM). MOP002A was drilled to a total depth of 504m, and intersected 128m of the Ecca Coal package between a depth of 366m and 495m. This package contained a net coal thickness of 38.2m and resulted in 29 coal samples being taken for gas desorption analysis. Initial field and laboratory gas measurements indicate that the coals have excellent levels of gas saturation (see image below). The 38.2m of net coal intersected was above pre-drilling expectations of 32m and over double the 15m coal thickness used by Independent Experts when they determined the project could contain a Best Estimate Gas in Place (GIP) of 1.9 Trillion Cubic Feet (Tcf). The coal seams within the Mopane area are the equivalent formation and similar in quality to those that have been successfully developed by Anglo American for CBM production in the neighbouring Waterberg Basin, where a 1 trillion cubic feet (Tcf) CBM resource has been defined. The target Ecca coal package, based on drilling results from within the Mopane licence, provides over 32 metres of coal at depths greater than 400 metres. The Mopane Project is located in the Limpopo Province of South Africa about 420km northeast of Johannesburg. The project lies on the western limit of the Tshipise Coalfield which contains coal projects owned by Coal of Africa. 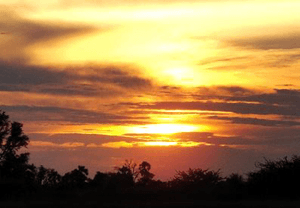 Mopane is traversed by major electricity transmission lines that form part of the Southern African Power Pool and is also close to major local mining and mineral processing facilities. 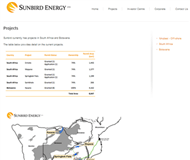 With a licence area of 1,577km2, the project is held by Sunbird (74%) and Umbono (26%). Based on an Independent Expert Report, Mopane has a Best Estimate Gas in Place (GIP) of 1.9 Tcf, with a High Estimate of 13.66 Tcf. The coal seams within the Mopane area are the equivalent formation and similar in quality to those that have been successfully developed by Anglo American for CBM production in the neighbouring Waterberg Basin, where a 1 Tcf CBM resource has been defined. The Springbok Flats project consist of an area including the Springbok Flats permit and Springbok Flats West application. The area is approximately 150 km northeast of Pretoria in central northern South Africa. The combined area of all the Springbok Flats permits is 1199km2. The Springbok Flat area is considered favourable for the occurrence of CBM due to the presence of extensive coal deposits and depths adequate for CBM development and preservation. The basin is orientated in a north-east to south-west direction, 160km long and 30km wide. A single coal zone, varying in thickness between 3 and 9m is developed. The unit consists of bright coal interbedded and interlaminated with dark mudstone. The project contains a combined Best Estimate GIP of O.62 Tcf, up to a High Estimate of 1.73 Tcf.